We build our recruitment in a potential way, thereby assuring a perfect role, considering our clients’ needs and demands, which in turn leads to the candidate satisfaction. We are the professionals who understand the aggressive domain of the market schemes. We provide flexible and innovative outsourcing services to meet our client’s needs. Our services include Direct Recruitment, Contractual Staffing, Selection, Hunting and Campaign Management, etc. This makes us a leading Manpower Outsourcing specialist. To provide the most efficient candidates to the employers and highly resourceful jobs for the candidates. We have a successful track record of 99.7% success which is unmatched by no other company in the market. This is Possible solely due to our highly technical and dedicated team of experts Various Industries Focus Huge Resource bank Expertise & Dedicated team Region wise personnel support Large Clientele Friendly Support Perfect Matching Fast Processing Trust and loyalty. Our vision is more dreamt of than it is articulated. We exceed the expectations by rendering Human Resource solutions with the desired Quality, Values and efficient processes in order to meet both candidates and client’s requirements. Our Mission is to give direction for growth and also intended to build a professional environment for maintenance and improvement which will deliver results to become the best concern, to provide manpower services among our competitors. 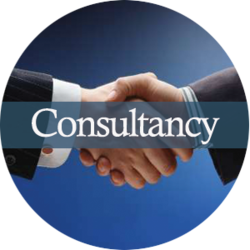 Wingz Consultancy Services provides business solutions in an excellent standard and we ensure our support in the best manner, by constantly adopting the best practices. Responsibility: We are solely responsible for our commitments, and we accept the consequences for business, of every deed, word, and thought throughout our existence. We work as a team and care about equality and democracy within the group and outside the group. We work with people to transmit an effective relationship and share knowledge. We divide our targets and multiply the success. We have a fairly large data bank comprising of candidates in Managerial functions, HRD, Accounts, Finance, Engineering, Information Technology and Marketing to suit the requirements of Management at all levels of functions. Our data bank consists of candidates from different locations and in various State. We could even supply candidates with very rare skill sets and experience from our data bank. This is helpful to identify candidates for specific locations within short notice. •	Long Term Relationship with the Clients & Working Staff. © Copyright 2019 by Wingz Technologies. All Rights Reserved.